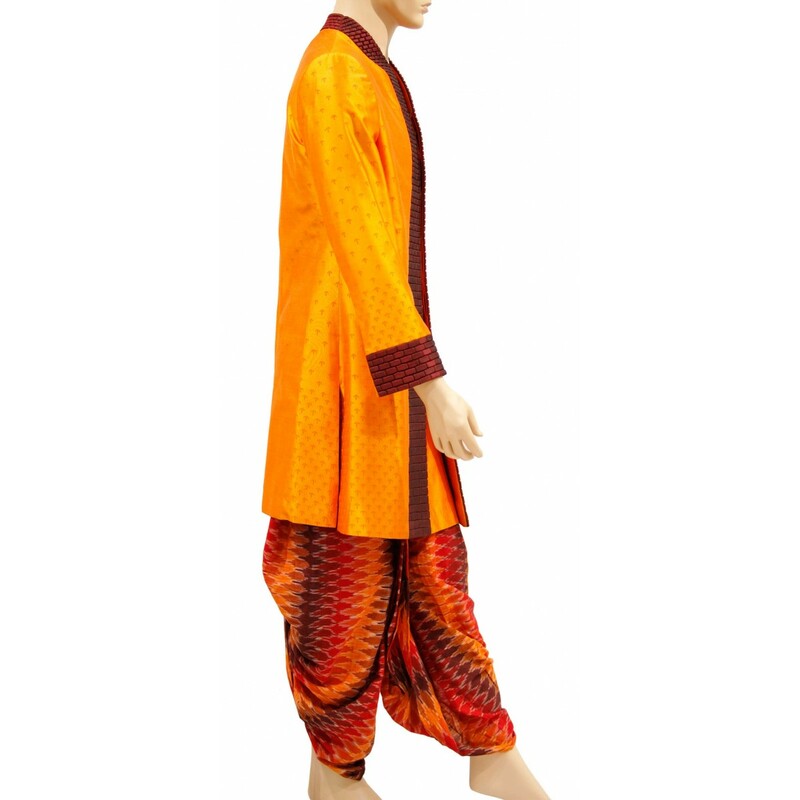 et dressed in style at a party wearing this orange fabric readymade indowestern with matching dhoti. 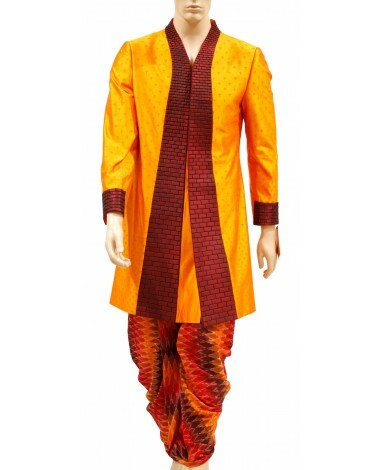 Front panel and sleeves are designed with brick patterned flattering outfit will make you shine out on your special day. 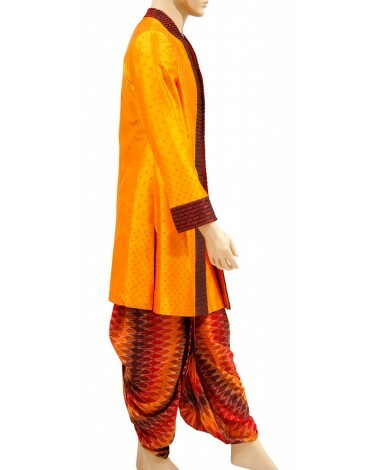 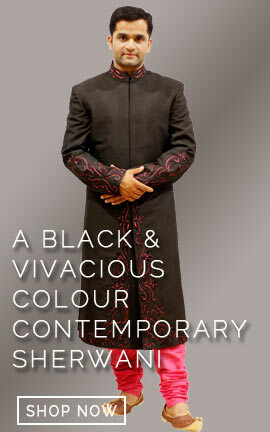 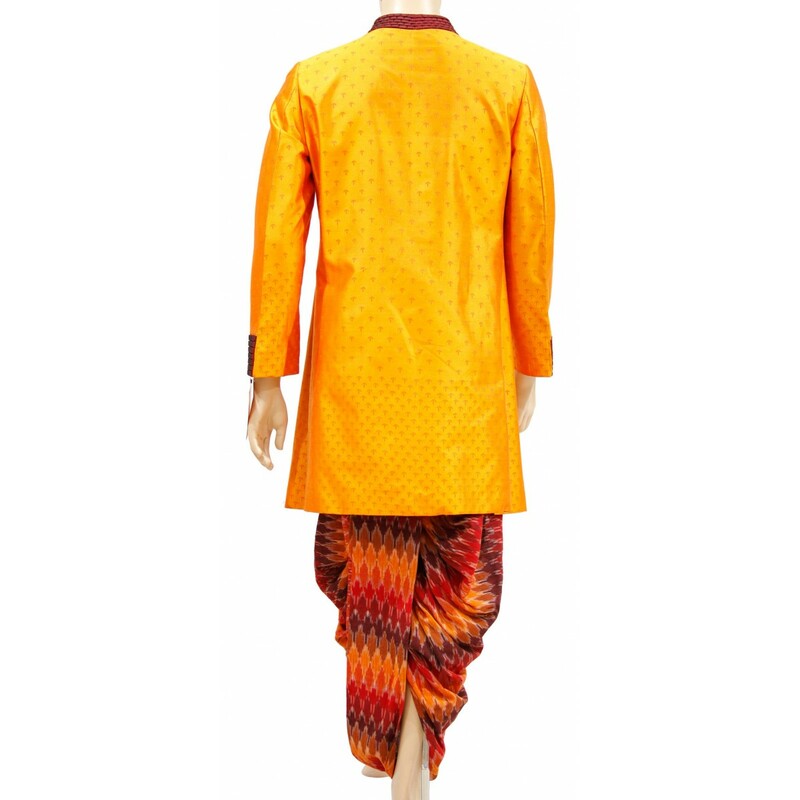 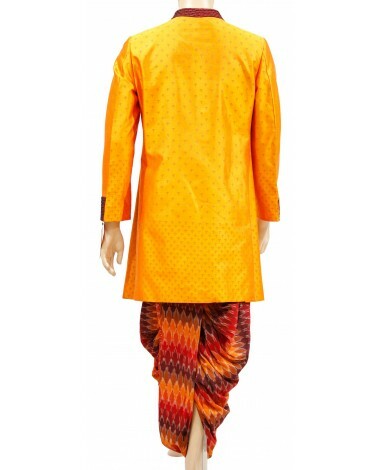 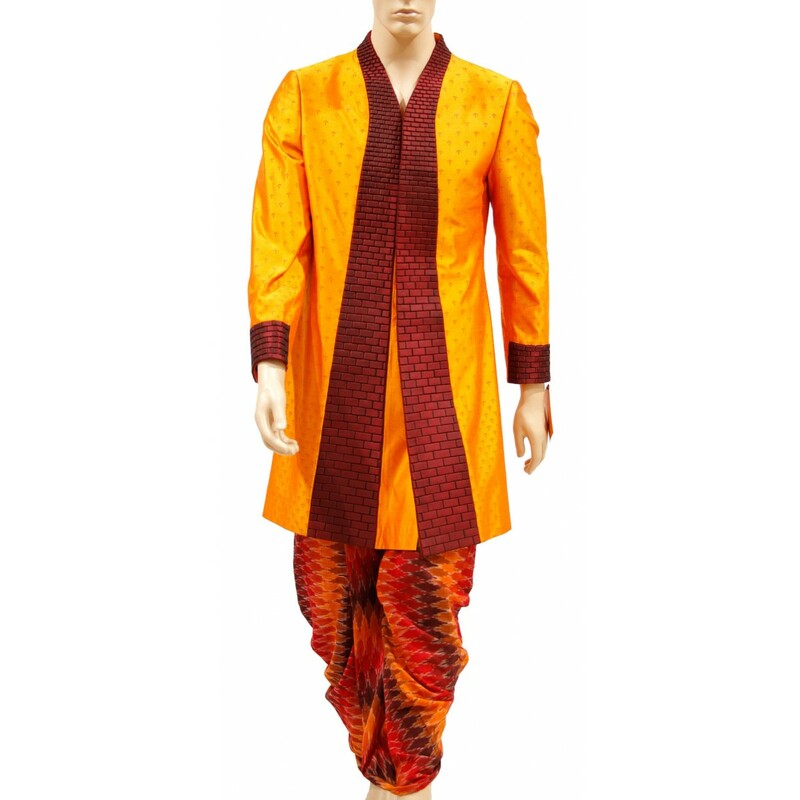 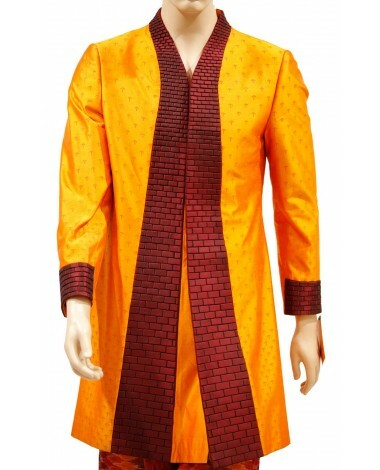 Get dressed in style at a party wearing this orange fabric readymade indowestern with matching dhoti. 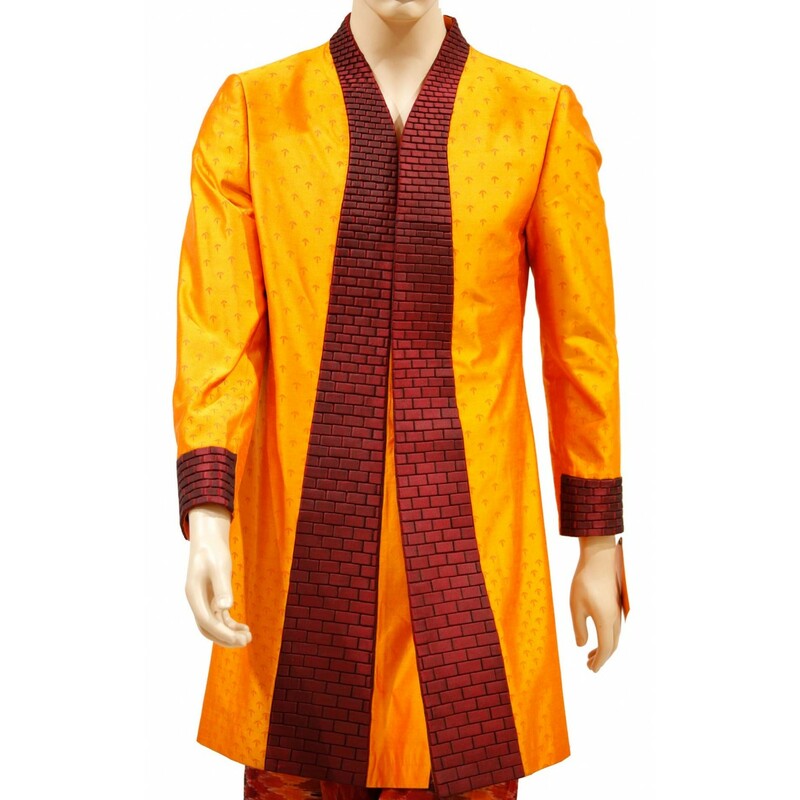 Front panel and sleeves are designed with brick patterned flattering outfit will make you shine out on your special day.